Android is now the most widely used mobile operating system and thanks to the enormous availability of apps and the fact that it is a bit more open and modifiable than others. However, naturally we have to use Google Play Store for downloading apps, but what's about the people who don't have Play Store installed on their devices such as OnePlus One. In addition, you can use online websites to download APK and install them from PC. The sites from which to download the app on the Internet are really hundreds or thousands, but it is good to be very careful about their reliability to avoid compromising the safety of your device and your privacy. Therefore, in this article, I will show you the top three sites where you can safely download apk for your Android. Let's see the top three sites for download apk, which are accessible from both PC and smartphone as well. APKMirror: It is one of the most famous app repositories. And also offer a wealth of apps. It has a very elegant interface and an efficient search engine. In addition, for our greater security, APKMirror find only signed by the original developers applications. So no files will run with a dubious origin that may affect our terminal. After searching the application you want, we download the APK directly in our smartphone. And run (found in Downloads), and we can enjoy the apps where Google Play couldn't have. In addition, this page will always find the latest versions of released (although still not in store Google). So it is a good way to always keep the updated services. 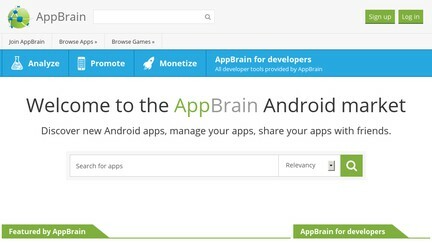 AppBrain: It offers only freeware app normally already downloaded from the Play Store. If your device does not support or Play Store is not working, we can fall back on this site well stocked. But it is a really effective tool to find the best app with a very simple interface, but, above all, to the very active community. AndroidFreeware.org: It is one of the best sites where you can search for many of the current trending and easily downloadable online APK files for free of cost. So you need not spend or waste your money to pay for any app that is provided there in the store. The price is absolutely zero. This site has been collecting many apk files quite for a long time and you can call it a repository or a storage place for awesome and useful Android apps. You can get access to browse about more than 1500 + apk files through this website that is working or acting as a portal for fully functional apps. In the end, in my opinion, these three sites are the best for download app for your android, according to user review and site metrics. However, if you have a different choice, no doubt you go for that, but please take into account for the safety of your device. If you donwload the apk on Android, make sure backup them to a computer so that you don't need to download again.